What is Rose Geranium essential oil? The oil is extracted through steam distillation from the leaves and stems — not the flower, as some assume. Rose geranium has been used for generations as a medicinal plant – particularly across North Africa and the Middle East – as a treatment for a number of ailments. The World Health Organization estimates that 80% of people in emerging nations rely on medicinal plants for primary health care needs. In fact, most of the scientific studies I found were conducted by researchers from countries where traditional medicines are commonly used due to high cost and lack of access to synthetic drugs and the belief that plants hold the cure for many conditions. Treatment for diabetes, dysentery, hemorrhoids, heavy menstrual flows, ticks, gallbladder problems, digestive issues, urinary stones. In Chinese homeopathy, geranium essential oil is said to open up the liver chakra and promote the expulsion of toxins that prohibit the achievement of balance within the body. Luckily, because of the resurgence of interest in plants with reported therapeutic benefits, there has been an effort to expand scientific investigation to validate claims. The World Health Organization estimates that 80% of people in emerging nations rely on medicinal plants for primary health care needs. There have been a number of scientific studies conducted by researchers from countries where traditional medicines are commonly used due to high cost and lack of access to synthetic drugs and the belief that plants hold the cure for many conditions. Four recent studies provided scientific evidence to suggest Rose Geranium is effective – at least partially – in some of these claims. According to a 2012 study, the researchers suggested that oral administration of Rose Geranium essential oil may be helpful in the prevention of diabetic complications associated with oxidative stress. The authors suggest that the rose-scented geranium could be used as a safe alternative antihyperglycemic drug for diabetic patients. Another study in 2013 found significant potential for Rose Geranium old to have significant potential as an anti-inflammatory drug in the treatment of edema when administered orally. Lastly, a 2014 study tested the anti-microbial properties of Rose Geranium essential oil against gram-negative bacteria, gram-positive bacteria, and fungi using the disc diffusion method (the test many of us did in biology class with a petri dish). 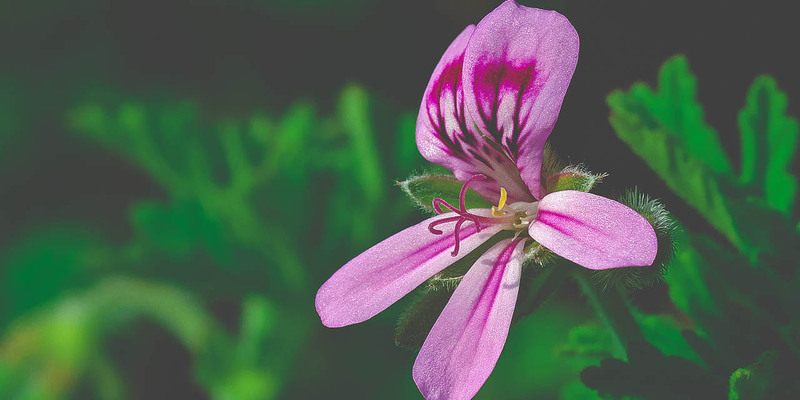 All the bacterial strains demonstrated some degree of sensitivity to the plant volatile oils tested, but more studies need to be conducted to confirm safety of Rose Geranium as an antimicrobial and natural preservative. 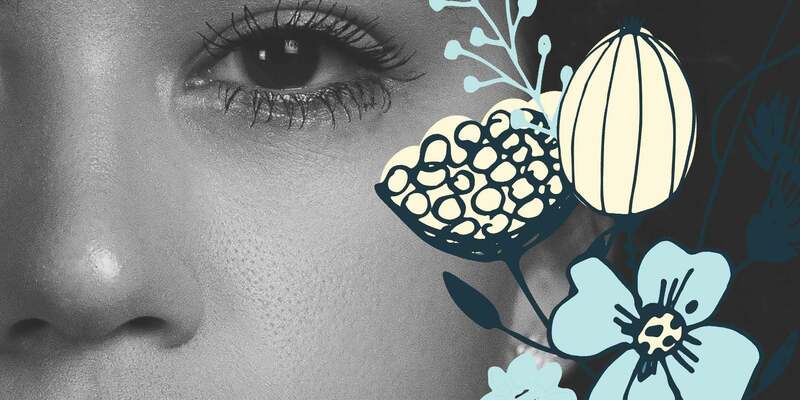 How does Rose Geranium work topically? Although the results of the above studies are interesting, since I focus on skincare, I’m primarily interested on how it works topically. Rose geranium oil contains several chemicals that seem to have antibiotic-like effects. Although the oil may come from similarities between the major various chemical constituents. The most prevalent being linalool, citronellol, geraniol, and their esters. 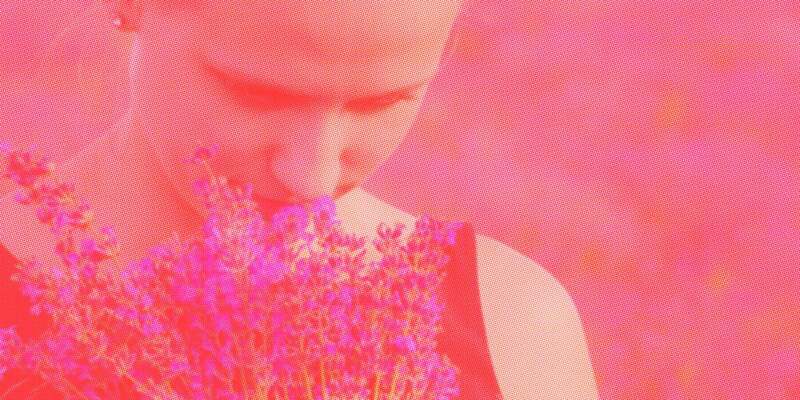 The truth is we aren’t precisely how Rose Geranium essential oil works in skincare products. There is not a great amount of rigorous modern academic research or clinical studies on the function of essential oils for me to clearly answer this. Hopefully, with the renewed interest in plant-based medicines this will change. What I do know is this: there are 3 mechanisms for transdermal (through the skin) delivery: the intracellular route, the intercellular route, and the shunt route. The lipophilic – or fat-loving – properties and small molecular size of essential oils make them great candidates for dermal absorption. Regardless of precisely how they enter, we know that constituents of essential can be detected in the bloodstream after topical application. 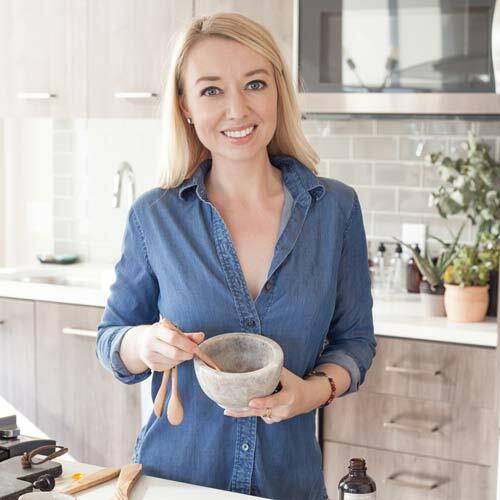 Research Gerhard Buchbauer, a professor of pharmaceutical chemistry at the University of Vienna in Austria, says all essential oils contain simple and complex chemicals that have a variety of effects — both positive and negative — on the body. According to The Handbook of Essential Oils, Science, Technology and Applications, of which Buchbauer was an editor, a double blind study conducted on 30 people with moderate to severe postherpetic pain showed patients given various amounts of Pelargonium essential oil mixed with mineral oil, experienced greater and quicker acting pain relief than those given a mineral oil placebo or the capsaicin control, which is the widely accepted treatment. Geraniol, a main component, and the minor components of geranial (also known as citral and citral A), nerol, and neral, have been shown to interact with the transient receptor potential channel, TRPV1, as does capsaicin (Stotz et al., 2008). This sensory inhibition may explain the efficacy of topical geranium oil. Although this is very promising research, there is still a lot to be learned about the potential benefits and safe dosages of Rose Geranium oil. For example, the concentrations of Geranium essential oil used in that study, 100%, 50% and 10% dilutions may also cause skin sensitization, so it’s best to proceed with caution if using high doses directly on the skin. 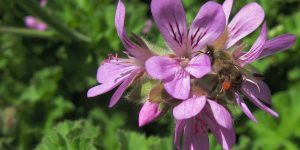 When I first started shopping around for Rose Geranium essential oil, I noticed suppliers listed “Rose Geranium,” “Geranium,” “Bourbon Geranium” EO interchangeably and with inconsistently paired botanical names. Of those, many of those are rose-scented, but there are additional hybrid versions of Pelargonium graveolens with aromas that resemble cinnamon, lemon balm, and mint. Aceite de Geranio Rosa, Aetheroleum Pelargonii, Algerian Geranium Oil, Bourbon Geranium Oil, Extrait de Géranium, Geranamine, Geranium, Geranium Extract, Geranium Oil, Geranium Stems, Huile de Géranium, Huile de Géranium Bourbon, Huile de Géranium Rosat, Huile de Géranium Rose, Moroccan Geranium Oil, Oleum Geranii, Pelargonium graveolens, Pelargonium Oil, Tiges de Géranium. Although the botanical names vary, I most frequently see Pelargonium graveolens listed as the botanical name for Rose Geranium. In the book, Geranium and Pelargonium History of Nomenclature Usage and Cultivation by Maria Lis-Balchin, this is likely a misnomer. In reality, the plant we call Rose Geranium is most likely a hybrid between P. capitatum and P. radens. Lis- Balchin states, the original source of the commercial Rose Geranium essential oil is from a cultivar know as P. cv. ‘Rosé.’ This originated as a hybridization in England in 1700s before being exported to the South of France and Reunion, then to China. Today, the origins of many cultivars used for Geranium oil in many parts of the world remain cloudy and it’s likey what we call Geranium oil — regardless of what is listed at the botanical name — come from hybrids of uncertain parentage rather than from a single botanical species. Adding some additional confusion to the story, Geranium is both the botanical and common name of a separate genus plant, sometimes known as American cranesbills. True Geranium, or G. maculatum is used more for its medicinal characteristics than it’s aromacetical properties. In Japan, Geranium thunbergi, more commonly called Gennoshouko, is an important folk medicine plant known for its “immediate effect” on the digestive system. The scent of Pelargonium graveolens is slightly reminiscent of rose but much more heavy, and herbaceous. The oil is generally extracted from the leaves, not the flowers which have no noticeable smell. This contributes to the herbaceous notes in the aroma. Be aware, it is not a substitute for rose oil, but can be used as an less expensive and gentler way to stretch the rose scent, and when when dermal limits have been reached. I’ve found the fragrance of Rose Geranium to blend beautifully with the following oils. The scent instantly took me away to an early summer night in Provence and I couldn’t stop smelling it all night. With some tweaking of the balance, I believe the combination could be stunning. Rose Geranium is a very popular for topical and olfactory purposes for a good reason. Regardless of exact benefits or how it works, something many of us can agree on is the story and aroma is of Rose Geranium oil is something truly special. I hope with the renewed interest in traditional medicinal herbs, there will be an effort to expand scientific investigation to validate claims. If you are interested in learning more about essential oils, check out one of the books I wrote about here.